Wisdom tooth is the eighth tooth in any of the four quadrants of the dental arch in the mouth. Most of the patients have their wisdom teeth coming once they become adult. 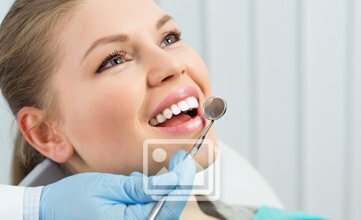 Wisdom tooth removal is required when the patient’s tooth is impacted or embedded in the patient’s mouth. Removal of wisdom teeth can be done in a proper way by the oral surgeon who possess good skills in such procedures. One or more than one wisdom teeth can be removed in one procedure. The anaesthesia given in the procedures vary with the number of teeth. In case of one tooth local anaesthesia works much well. For more than one teeth general anaesthesia is given to the patients according to the requirement of the patients. The dentist removes the gums around the tooth and then removes the wisdom tooth. Usually the tooth is broken into pieces to bring the tooth out of the socket area. In this way, the tooth can be successfully removed without causing any trauma to the area of the mouth. Thus, wisdom teeth can be removed smoothly from the patient’s mouth. Proper precautions need to be taken by the patients after the procedure is being successfully done so that proper healing can take place within an estimated period of time. Avoid using hot foods after the procedure is done. Use ice packs from outside the mouth in order to keep the area cold and avoid excessive bleeding. Use warm salt water after 24 hours once the extraction is being done. Avoid using straws while drinking juices or water so that the blood clot doesn’t loosen or get dislodged from its place. Consult the dentist in case of any difficulties or pain so that proper precautions can be taken by the dentist.